The MPs want to broker a compromise that would preserve some of the Labour leader's key policies if he quit. 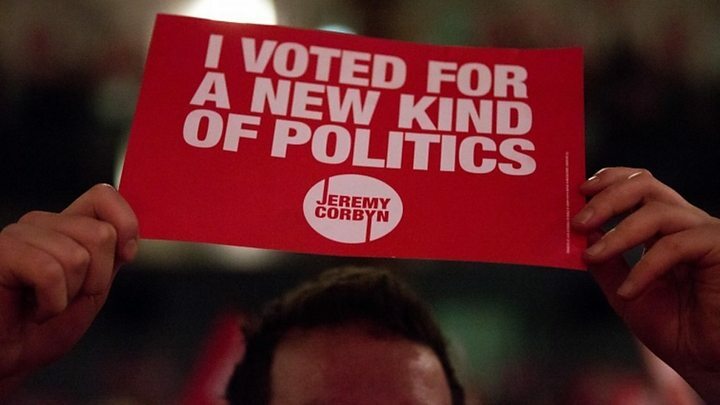 Newsnight political editor Nick Watt said MPs had been creating a timetable to let Mr Corbyn "retire with dignity". But James Schneider, of grassroots Labour movement Momentum, said the plan would not work as Mr Corbyn had "an enormous amount of support". Mr Corbyn's leadership is under threat after numerous frontbench resignations and a no-confidence vote by his MPs. But he has said he would not "betray" the party members who elected him last year by standing down. Media captionLabour MPs encouraging Corbyn to resign are trying to "subvert democracy", says Momentum. The BBC has learned that a delegation of shadow cabinet members tried to meet Mr Corbyn on Thursday to put forward their plan, but were unsuccessful. Under the plan, potential leadership contenders would agree to pursue some of Mr Corbyn's key policies on issues including tackling inequality and making the party more democratic. Momentum spokesman Mr Schneider told BBC Radio 4's Today programme that Mr Corbyn had shown "incredible steel" in remaining leader, and he accused the other MPs of trying to "subvert democracy in the party". "If they are unhappy with Jeremy Corbyn's leadership or the policies which he is standing for, they need to get 51 signatures, they need to find a candidate, they need to find a platform and they need to go for it," he said. "But they don't have a candidate who can beat Jeremy Corbyn." He said there was a "reasonable amount of evidence" to suggest that people who had joined the Labour Party in a recent surge had joined to support Mr Corbyn, as 60% of the first 13,000 members had put this on their joining form. 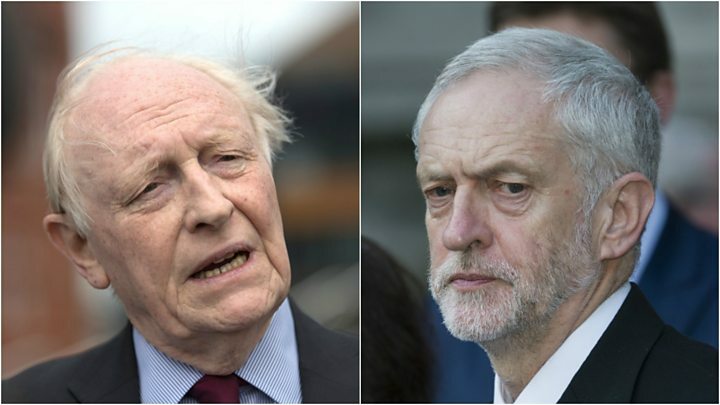 Media captionFormer Labour leader Lord Kinnock said Jeremy Corbyn should "do his duty and resign"
But former Labour leader Neil Kinnock told BBC Radio 5 Live that Mr Corbyn should "do his duty and resign". Lord Kinnock said: "I totally understand and I completely support the members of Parliament who voted in the no-confidence motion. "They were doing the clear, honest thing when they are so fundamentally alarmed by the prospects for the party." Meanwhile, former Welsh Secretary Lord Hain told the BBC's Sunday Politics Wales programme he had never been as concerned as he was now about the party's prospects. He said it was "much more serious" than the "early 1980s strife". 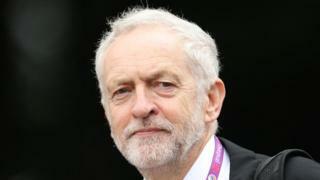 Criticism of Mr Corbyn's EU referendum campaign input prompted a series of walkouts by shadow cabinet members and mounting calls for the leader to resign. Prime Minister David Cameron, who criticised Mr Corbyn's efforts during the EU referendum in the House of Commons last week, told him: "For heaven's sake man, go." Mr Corbyn's predecessor, Ed Miliband, also joined calls for him to quit, telling BBC Radio 4's The World at One his position was "untenable". But senior allies of Mr Corbyn, who has strong support among the party's members, are determined to keep him in place. Shadow Chancellor John McDonnell has previously indicated he is confident Mr Corbyn would see off any challenge to his leadership. Ex-London mayor Ken Livingstone has said Mr Corbyn would win any leadership contest and that people would be "appalled" at MPs trying to force out a leader elected by 60% of members and supporters. Image caption Potential leadership challenger Angela Eagle has said Mr Corbyn "still has time to do the right thing"
But some supporters believe easing him out may be the only way to avoid a split. On Thursday, potential leadership challenger Angela Eagle said Mr Corbyn "still has time to do the right thing". Mr Corbyn rejected an attempt by deputy leader Tom Watson to persuade him to stand down. Audio Labour MPs encouraging Corbyn to resign are trying to "subvert democracy", says Momentum.